Obituaries bring out the best in people, both the writers and the subjects. Hearing a genuine and discerning appreciation of someone, even someone I don’t know, draws my soul down into grace. It breaks through the clouds of an otherwise mean and turbulent world to shine down kindness and love and acceptance, reminding me that deep goodness still threads its way between hearts that open to it. When I hear it, I want to be part of that spirit of generosity, to appreciate the good in others without restraint or caveat. So those eulogies not only bring out the best in writer and subject, but in listeners as well, a spreading contagion of grace. But I am reluctant to make any commitments (like “memorial Mondays”) because I am a master at turning opportunity into burden, love into law. Grace which is forced is just legalism in a tux trying to push its way into the party–it looks good till it takes over and puts all the guests in straight-jackets. 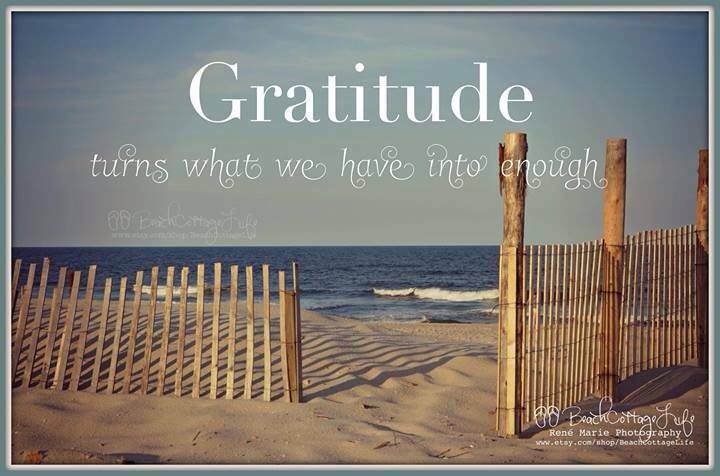 So it is just a hope that I can share some stories of folks, dead or alive, who have blessed me. I’d love for readers to share stories of their own here as well, a column of living obituaries. There is a lot of good out there for us to notice and appreciate. For 18 years now I have been struggling with depression. It gets worse or better suddenly and without reason for unpredictable periods of time. My latest downturn came in winter. I’ve tried so many different strategies to lift my spirits, pushing myself into things I’d rather avoid, but the fixes never hold. The last few days have been crushing. For two nights running, I bunkered down in my office instead of sitting at the reference desk, coming out only when someone needed my help. Yesterday Berly emailed me a link to a TED Talk video about community, and I watched it this afternoon. It was very touching, especially the story of a crippled elephant cared for by her herd. Like that elephant I am broken, but in ways no one can see. My depression is far more debilitating to my life than a wheelchair would be. But that 15 minutes shared by a South African storyteller sang some relief into my tortured day. It made me think that maybe I can make a small difference for one person by sharing life on this blog, perhaps a spark of connection, a sense that you are not alone in your struggle. I don’t need to be clever or poetic or memorable. Just being myself, sharing my little scraps of hope and discovery, struggle and pain, may lift someone’s flagging soul, even for an hour. May we somehow, across the distances, touch one another with compassion and understanding and find a little relief in our shared stories. I was washing dishes in the kitchen yesterday and thinking. My mind follows me everywhere and won’t shut up. Suddenly I felt the bottom drop out of my stomach as I reflected on a political article I had been reading. The current state of civic engagement in America is deeply disturbing to me, but what drives the stake into my heart is the entrenched position of my own people, the church… at least that part of the church I have always called home spiritually. It feels to me like our world is careening around hairpin turns in the dark and the headlights just died. This is not going to end well. And leaning against the sink with dripping hands I realized another huge source of my depression. I have known for many years that my personal sense of failure drove me into a deep depression. I gave it everything I had and just couldn’t make it work: the overwhelming poverty of India mocked my attempts to help. It is a great blow to realize your life is meaningless in the greater scheme of things, that your world, even your small corner of the world, will go on as it always has with or without you. Still, though I wasn’t making a difference, someone was making a difference. I had lost all hope for my own personal relevance, but I knew that the good side would win. Then I slowly realized my pointless life was not in contrast to the overall progress of the world, but was a microcosm of it. All the good in the world–the huge, sacrificial efforts of selfless people–did not and could not ever reverse the direction of this tragic human story. Suffering is alleviated and evil stopped in small back eddies of history, but the world as a whole flows on in its destructive ways. At some point in my own journey I finally understood that the positive, upbeat message on which I was raised was a false narrative that we told each other to keep us fighting a losing battle. Against all the evolutionary optimism of my culture, the world would never be a better place, and there was nothing any of us could do to change that. One war would succeed another, today’s tyrant would rise on the ashes of yesterday’s, a new disease would always spring up to laugh in the face of all our medical advances. We were doomed to play violins on the deck of our sinking Titanic. I was not just a failure in my own small sphere, but my story was one line in a great tragedy. My impotence was a small, dark reminder of the miserable whole. I was not simply hopeless about myself, I was hopeless about the entire world. I’m not suggesting we should stop playing our violins. 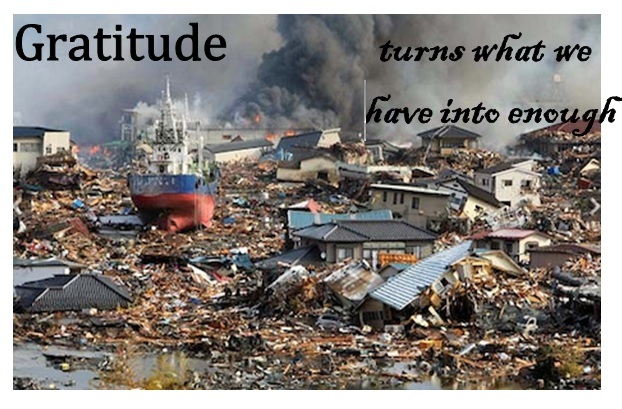 If we are all going down, perhaps we can bring some small comfort to face the disaster. But if we hope that our stringed ensemble will keep the ship from sinking, we set ourselves up for repeated disappointment, and despair at last. We will either strum more and more violently trying to drive back the rising waves or we will pretend the ship is fine and turn a deaf ear to the cries around us. In a crazy way I found hope in hopelessness yesterday. Sweeping away false hope clears a space for realistic hope. It is not useless to adopt one mangy mutt from a city full of strays, give one store clerk a smile in her long, harsh day, clarify a point for one person on a website crowded with dissenters. It is no small thing to bring laughter to a child’s cancer ward, to give a sandwich to a man three days hungry, to hold the hand of a mother whose son was killed in Iraq. Perhaps I cannot cure Alzheimer’s, but I can listen lovingly to the same story repeated for the fourth time. We have violins, let us play them. 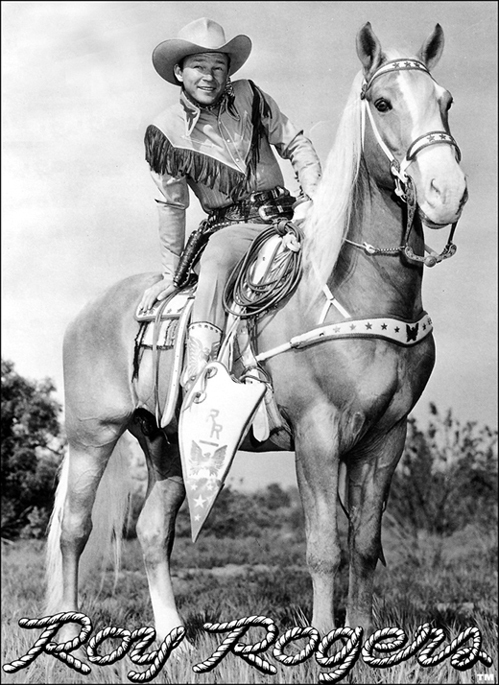 As a schoolboy, I refused to sleep late Saturday mornings because the Roy Rogers Show came on at 7:30. Dressed in white from his stetson to his boots, my hero galloped in on his white horse Trigger. He stood for all that was good. But every villain rode in on a charcoal horse with an outfit as black as his heart. I was raised on stereotypes, and perhaps little kids need that kind of over-simplification, though I’m not so sure. All kinds of bad come from boxing people into categories, even favorable categories. The girl whose identity is built on her reputed good-looks is just as bound and broken as the one whose essence is shaped around her reputed bad-looks. The jock is as vulnerable as the geek to being squeezed into expectations and assumptions that suffocate his true self. Weighing down others with our expectations or stooping under theirs deflects the flow of grace in our lives because we can never fully predict where God is taking us and who he is shaping us to be. Wise counsel is always a support for self-discovery, not a substitute for it. 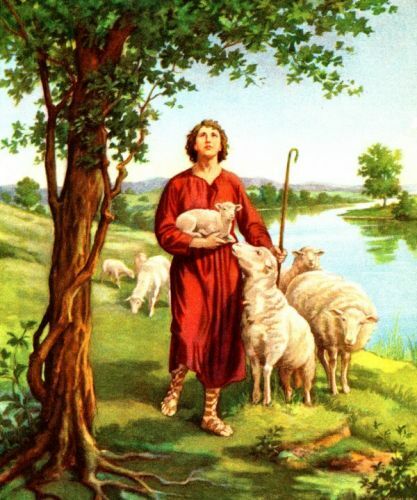 But Jesse has clear notions of his sons’ abilities and roles, so he sends his youngest, David, into the fields to shepherd and marches his big brothers off to soldier. After all, an older, larger, stronger man is clearly more fit to fight. Just ask Goliath. When the prophet Samuel came to look among his sons for the next leader of Israel, Jesse did not even deign to bring his youngest in from tending the sheep. He clearly did not qualify. Samuel himself, the very mouthpiece of God, looked at the oldest, tallest son and thought he’d found God’s choice. They expected the storyline: “Jesse fathered Eliab the King,” and that would have been as messed up for Eliab as for David… not to mention Israel. His own father, who knew him from a babe, and God’s anointed spokesman both missed who David really was. Expectations and norms can blind us to the best gifts of grace. God’s valuations are so often different from ours. When our assumptions determine our direction, we are quite likely to miss the way. Even wise, godly folks have blind-spots and spiritual myopia, but if we stay open to the surprising and unexpected appearances of grace, God has freedom to bring out our internal wonder and unique capacity. Grace is always on the loose, hawk-eyed for every chance to draw out our inimitable beauty.